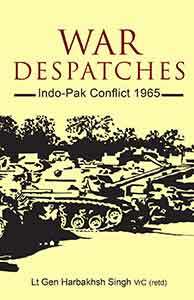 Although we did succeed in whittling down PAK’s fighting potential, especially armour, and occupied chunks of her territory, most of our offensive actions, however, fizzled out into a series of stalemates without achieving any decisive results. With the exception of the HAJIPIR offensive, none of the remaining thrusts were pushed to a successful conclusion. This to my mind was due to a faulty strategic concept of the campaign which resulted in a number of ineffective jabs instead of a few selected thrusts in force. In consequence, there were fierce slugging matches spread over a vast area in which we destroyed each other’s potential but reached no strategic decisions. Our strategy for war should have been confined to the concentration of effort on a few, well-defined offensive actions on narrow frontages to achieve rapier like thrusts deep into enemy territory and aimed at objectives of military and political importance. The momentum of the offensives should then have been maintained by continual regrouping of forces to ensure the required superiority of effort along the chosen thrusts. In this lies the essence of higher direction of War. 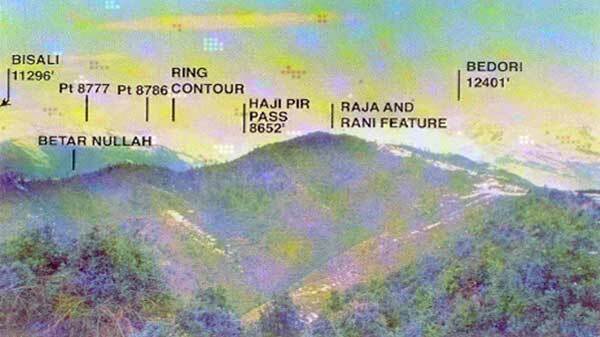 Fifty Years Since Haji Pir: Where did we go wrong? 50 years have gone by since the capture of Haji Pir Pass by India and its return to Pakistan under the Tashkent Agreement. Where did we go wrong? We have had Parliament resolutions that Kashmir is an integral part of India, and rightfully so because the entire State of Jammu and Kashmir was acceded to India by the then ruler, Maharaja Hari Singh through an Instrument of Accession signed on October 26, 1947, post massive Pakistani infiltration. The CFL had been drawn under the 1949 Karachi Agreement under aegis of the UN Commission. It was Pakistan (not India) that breached the Cease Fire Line (CFL) through massive infiltrations by her Gibraltar Force and ‘Op Grand Slam’. Our new survey determines if India’s emerging private-equity sector has helped or hurt the country and its companies. Private equity has injected more than $100 billion of capital into India in the past 13 years, providing scores of companies with a vital new funding source. Yet the sector continues to be considered a mixed success. Has private-equity capital helped bring new skills and capabilities to investee companies? Or has it simply pushed companies to sweat assets, take on excessive leverage, and strip nonessential components to benefit a few? The much bigger and more useful question is whether India has benefited from the contribution of private equity. We examined data and surveyed dozens of stakeholders, including key regulators, and found that it has played a pivotal role in the development of small and medium-size enterprises and critical industries, spurred job growth, and facilitated the development of strategic capabilities. And while it has shortcomings, we are optimistic about the role it can continue to play in India’s economic development. BEIRUT — Insurgents led by al-Qaida’s affiliate in Syria captured a northwestern army air base Wednesday after a two-year siege, leaving the entire province of Idlib free of government forces, state media and an activist group said. A state television report said government forces at the Abu Zuhour air base “have evacuated their positions and moved to another point.” The Britain-based Syrian Observatory for Human Rights said insurgents, including members of the Nusra Front, al-Qaida’s affiliate in Syria, captured the base under the cover of a sandstorm and forced government forces out of their last post in Idlib province, which borders Turkey. The local Coordination Committees posted a photo on its Facebook page it said showed Nusra Front fighters standing in front of warplanes inside the base. Rami Abdurrahman, who heads the Observatory, said militants were aided by a Mideast-wide sandstorm that reduced visibility. The capture of Abu Zuhour is the latest in a series of setbacks for government forces in Idlib province. Earlier this year, militant groups captured the provincial capital, also named Idlib, as well as other towns and villages. In a number of civil wars, the final, decisive mistake of the incumbent government occurred when it decided for reasons of prestige or strategy to overextend its military to hold exposed positions, thus inviting the destruction of key military assets. This was the case of Chiang Kai-shek’s post-WWII attempt to hold Manchuria, which ended in the destruction of the elite American-trained and American-equipped Chinese Nationalist armies and other formations leading directly to the end of the Chinese Civil War. In 1975, the South Vietnamese attempt to hold too far forward doomed its Army’s 1st Infantry Division and the Marine Division, thereby initiating the South Vietnamese collapse along the coast. The mechanisms of defeat were not just the tactical loss of units through combat, but also the wider demoralization of commanders and soldiers upon realizing that they were caught up in a debacle. The report, A Normal Nuclear Pakistan, published by Carnegie Endowment and the Stimson Center, begins by asking: Can Pakistan truly be considered a ‘normal’ nuclear state in the global nuclear order? The short answer should be ‘yes’, if the international community led by the US is ready to understand that Pakistan’s security compulsions don’t permit open-ended support of WMD nonproliferation goals. But at the same time, Pakistan’s nuclear security managers have to recognise that our rapidly growing nuclear arsenal adds nothing to strengthen our deterrence capabilities. Despite the fact that the report does not provide any concrete evidence to support claims of Pakistan setting to become the third largest nuclear arsenal within a decade, our nuclear establishment has moved away from the policy of ‘credible minimum deterrence’. After 1998, Pakistan maintained the policy of minimum credible deterrence but the adoption of a ‘full spectrum deterrence’ posture, after the 2008 Mumbai attacks, has sparked concerns throughout the international community. While Afghanistan’s northern provinces – mainly Kunduz, Faryab and Sar-e Pul – have been in the media’s focus on this year’s Taleban offensive, fighting in their southern Afghan strongholds has geared up too. Within one month the Taleban were able to capture two district centres in Helmand, Musa Qala (still contested) and Nawzad. This combines with an increase in the number of districts falling under their control all over the country compared to previous years. AAN’s senior analyst, Thomas Ruttig, looks at the new fighting around Musa Qala, zooms out to countrywide developments and sees the Taleban making headway – not dramatically, but more stealthily, as most district centres are relatively quickly recaptured by Afghan forces. But district control and keeping hold of the district centres is not the same – for both sides. The Taleban seem to be continuing a long-term strategy by increasing the strain on the Afghan armed forces. The Annual Meeting of the New Champions, a World Economic Forum conference hosted each year in Dalian, China, opened on Wednesday. It’s become something of a tradition for the meeting, more often known simply as the “Summer Davos,” opening with a speech from China’s premier defending the basic health of his country’s economy. 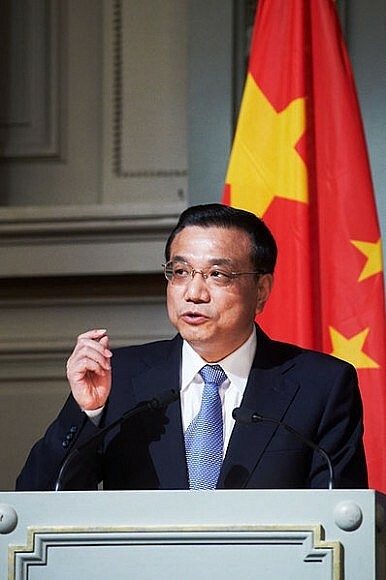 Last year, Prime Minister Li Keqiang used his keynote speech to underline that China’s economy was healthy, despite easing into a “new normal” of slower (but more sustainable growth). This year was much the same: with the Summer Davos coming soon on the heels of a sharp downturn in China’s stock markets, Li spent much of his time on the opening day of the meeting trying to convince global economic leaders that China’s economy is in good health. China’s economy is “turning for the better while stabilizing,” Li said, while acknowledging that “difficulties remain.” He also insisted that China’s leaders “will not be swayed by short-term fluctuations of economic indicators” – almost an exact quote from his 2014 speech as well. In both cases, Li’s goal was to convince leaders and investors alike that China will continue to promote structural economic reform rather than being spooked by slowing growth. The Chinese idiom that “when a person leaves, the tea gets cold” doesn’t refer literally to tea. Instead, the tea stands for power. Some leading cadres, especially the top local leaders, use the cadre appointment system to promote their own people before retirement. Then, these leaders officially retire but don’t actually retire — they rule from behind the curtains and continue to interfere in politics. It’s almost enough to make one think that China’s 2,000-year-old tradition of dynasties has returned. Akhmetov is one of the highest ranking former government officials in Kazakhstan to come under the heel of President Nursultan Nazarbayev’s anti-corruption push. As Tengrinews put it, in November 2014, Nazarbayev said “there would be no exceptions in the fight against corruption in Kazakhstan.” A few days after saying that Kazakhstan would prosecute “high-ranking officials in spite of their posts” Akhmetov was placed under house arrest. After months of passivity, the Obama administration is on the cusp of bringing criminal charges against Chinese cyberspies in retaliation for wreaking havoc on U.S. networks. Unmanned RAF aerial drones armed with Hellfire missiles have been patrolling the skies over Syria for months seeking to target British jihadis on a “kill list” drawn up by senior ministers on the UK National Security Council shortly after the election. As the defence secretary Michael Fallon said ministers would not hesitate to approve further strikes against jihadis who have their own kill list, Jeremy Corbynled a cross-party group of MPs who raised doubts about the change in strategy. Senior Liberal Democrats suggested that the RAF drone strike, which led to the killing of two British Islamic State members on 21 August, went beyond anything that would have been approved when Nick Clegg sat on the NSC. “The hawks have been let loose and are trying to test the boundaries of what is possible,” one former Lib Dem coalition source said. MOSCOW — Iran has granted permission for Russian planes to fly over its territory en route to Syria, Russian news agencies said Wednesday, a bypass needed after Bulgaria refused overflights amid signs of a Russian military buildup in Syria that has concerned the U.S. and NATO. The news agencies quoted Maxim Suslov, spokesman for the Russian Embassy in Tehran, as saying it has received Iranian permission for Syria-bound flights. After Bulgaria rejected Moscow’s overflight request for Sept. 1-24, a path via Iran and Iraq appeared to be the only one left, as Russia apparently sought to avoid flying over Turkey, which in 2012 grounded a Syria-bound plane carrying radar parts from Moscow. There was no immediate confirmation from Iran. The controversy over the Russian flights comes amid signs of increased Russian military presence in Syria. Moscow, which has backed Syrian President Bashar Assad throughout the nation’s 4½-year civil war, said its military experts are in the country to train its military to use Russian weapons. May and June of 2015 brought a welcome streak of positive news from the war against the Islamic State in Iraq and the Levant (ISIL). The Kurdish People’s Protection Units (YPG) and their allies, including international coalition air support, made rapid gains in the countryside and villages of northern Raqqa,including Tel Abyad, the major settlement under ISIL control at the Turkish border. Coming weeks after ISIL’s seizure of the Iraqi city of Ramadi, the campaign to retake Tel Abyad demonstrated that ISIL’s aura of invincibility means little in open terrain against a disciplined ground force. Beyond merely demonstrating the potential for successful ground operations against ISIL, however, events in Raqqa also presented an important opportunity to consider the challenges and opportunities for post-liberation reconstruction and the mobilization of local forces against ISIL. With both China and India modernizing their submarine fleets this, of course, may change in the long-run once Chinese and Indian SSBNs have reached a certain operational maturity level. Until then, however, strategic stability will be hard to come by given geopolitics and the noise created by Chinese and Indian subs patrolling in Asian waters. As Congress and the President return to town, Washington is sleepwalking towards another budgetary showdown that could result in sharp cuts in defense and other government spending or even another government shutdown. At a time when the nation has real crises and other urgent, weighty matters to consider—from the Iran nuclear deal to the fraying ceasefire in Ukraine to the upcoming visit of President Xi of China and climate change—we do not need a self-inflicted wound. To be sure, everyone is aware that the federal government may be headed for the brink. But few seem to think it within their power to step back. As things stand, the Budget Control Act of 2011 will sharply limit defense funding—reducing FY 2016 funding by about $34 billion compared to the President’s request, coming on top of a several years of decline in defense accounts—unless a new law is passed to soften the constraints. The law also limits non-defense spending. The Murray-Ryan compromise of 2013 has now run its course and no longer will apply to the 2016 budget year, which begins October 1. 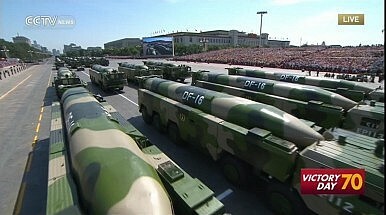 Without the added $34 billion, the Department of Defense will not be able to improve military readiness and modernize adequately to produce the force it needs in a world populated by ISIL, a mercurial North Korea armed with nuclear weapons, a Russia enamored of adventurism, an assertive Iran, a rising China, and more. 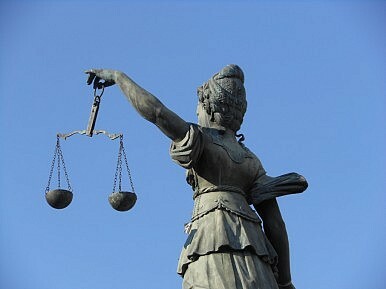 Alexander Fishenko, 49, of Houston, and a dual citizen of the United States and Russia, pleaded guilty today to acting as an agent of the Russian government within the United States without prior notification to the Attorney General, conspiring to export and illegally exporting controlled microelectronics to Russia, conspiring to launder money and obstruction of justice. The plea was announced by Assistant Attorney General for National Security John P. Carlin and Acting U.S. Attorney Kelly T. Currie of the Eastern District of New York. (Reuters) - Russia has sent two tank landing ships and additional aircraft to Syria in the past day or so and has deployed a small number of forces there, U.S. officials said on Wednesday, in the latest signs of a military buildup that has put Washington on edge. The two U.S. officials, who spoke to Reuters on condition of anonymity, said the intent of Russia’s military moves in Syria remained unclear. U.S. officials have not ruled out the possibility that Moscow may be laying the groundwork for an air combat role in Syria’s conflict to bolster Syrian President Bashar al-Assad. Assad, a longtime Russian ally, has seen the area he controls whittled down to a fifth or less of Syria’s territory after more than four years of grinding civil war. An official with the Russian defense ministry declined to comment. A traditional arms supplier to Damascus, Moscow has supported Assad throughout the war that has fractured Syria and has said it strongly opposes Islamic State, a militant group that is also the target of a U.S.-led air campaign. One of the U.S. officials said initial indications suggested the focus was on preparing an airfield near the port city of Latakia, a stronghold of Assad. • Imagery from August 22 indicates a high level of vehicle activity not previously observed in front of the 5 MWe reactor hall. Vehicle tracks extend into the ground level of the building beneath an overhanging four-story annex on the east end of the reactor hall out to a road where large trucks can easily maneuver. Also, a large truck is seen in position apparently awaiting a load. The level of track activity indicates that this is not the first truck to be loaded with material from the hall. The Obama administration secured vital support for the Iran deal this week, after it emerged that at least 42 senators endorsed the proposed agreement, announced in July in Vienna at a summit between Iran and world powers. The White House likely won't have to veto a congressional bill aimed against it, meaning the pact's smooth passage is now more or less a fait accompli. That, of course, doesn't mean the rancorous debate over the rights and wrongs of the deal will end. The threat of Tehran's nuclear program has seemingly sucked up all the foreign policy oxygen in Washington in recent months and will stalk the election campaign in the months ahead, beginning with a Donald Trump-Ted Cruz rally on Wednesday in the capital. Following the announcement of the Iranian Nuclear Agreement, Lieutenant General (Retired, U.S. Army) Michael “Mike” Flynn was interviewed by Jason Criss Howk, a former colleague that worked with him in Kabul and Washington D.C. The interview took place by phone and email from 15–16 July 2015. Mike Flynn is the former DIA Director, Senior Intelligence Officer for the International Security Assistance Force (ISAF), U.S. Central Command (CENTCOM), the Joint Staff, and Joint Special Operations Command (JSOC). He worked extensively with security leaders throughout the Middle East and has dealt closely with the effects of the Iranian Regime on both Iraq and Afghanistan. LTG (Ret) Flynn recently returned from 1 of 3 trips in the last four months where he met with government, business and religious leaders in various, traditionally American-leaning nations. Here are his thoughts on the current Iranian Nuclear agreement and how it will affect the broader Middle East. Are we in for a bumpy ride? How bumpy? And for how long? 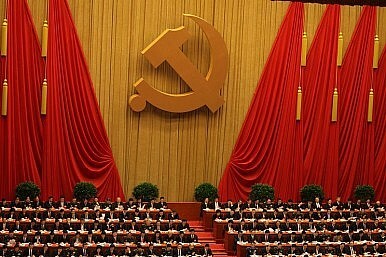 At the National People’s Congress in Beijing in March 2015, China’s Premier Li Keqiang announced a growth target of 7 percent, acknowledging that “deep-seated problems in the country’s economy are becoming more obvious.”1 Three months later and thousands of miles away in Washington, the World Bank lowered its growth forecasts across the board and asked the US Federal Reserve Bank to delay any contemplated rate hikes. The World Bank’s chief economist said that it had “just switched on the seat belt sign. We are advising nations, especially emerging economies, to fasten their seat belts.”2 So it’s going to be a bumpy ride? How bumpy? And for how long? Day-to-day developments in the world economy have become increasingly complex and global in their implications. Economic shocks, from Greece to China to Russia, are now of greater concern because around the world, traditional policy tools have already been used and financial resources depleted to help economies recover from the last downturn. Strategic decisions have become correspondingly more consequential. Shocks are inevitable, but strategists must find ways to extract the signals from the noise to understand what’s over the horizon. Digitization affects almost everything in today's organizations, which makes capturing its benefits uniquely complex. Here are the most important aspects that winning companies consider. Few companies need to be sold on the benefits of digitization. McKinsey research shows that companies have lofty ambitions: they expect digital initiatives to deliver annual growth and cost efficiencies of 5 to 10 percent or more in the next three to five years.1 Yet despite the often-substantial investments companies have made in digital initiatives, few see that kind of growth. The defining characteristic of El Nino is sustained above-average temperatures in the middle of the Pacific Ocean. Traditionally, Peruvian fishermen recognized the phenomenon when the catch would decline as weak trade winds led to warmer waters around the west coast of South America, decreasing the nutrients in the water and thus the number of fish it could support. Now, a much more regimented system takes measurements of ocean temperatures throughout the Pacific. The Oceanic Nino Index looks at temperature anomalies in the region known as Nino 3.4 - between 5 degrees north and 5 degrees south latitude and between 120 degrees and 170 degrees west longitude. El Nino is declared if the average sea surface temperatures there are at least 0.5 degrees Celsius (0.9 degrees Fahrenheit) higher than normal for five consecutive overlapping three-month periods. The El Nino in 2015 was widely anticipated but was considerably delayed. A weak El Nino was first announced in March, after which it gradually strengthened as sea surface temperatures continued rising during the next several months. Currently, forecasters with the National Oceanic and Atmospheric Administration's Climate Prediction Center give a very high probability (greater than 90 percent) for El Nino lasting through the end of 2015 and a high probability (85 percent) of it lasting into spring of 2016. Forecasts show that the strength of this El Nino will remain high through the winter. Chaos in China’s financial markets could have dire implications for the Kremlin’s plans. During Vladimir Putin’s visit to Beijing this week, he will be at pains to downplay the ongoing chaos in Chinese financial markets, drop in global crude prices, and lackluster Sino-Russian trade figures. Taken together, these developments are a huge disappointment for a Kremlin that just a few months ago was betting on China to serve as an economic lifeline for the Russian economy in the wake of Western sanctions. It wasn’t supposed to be this way. After being frozen out of Western capital markets by waves of sanctions, a great many top Russian government and corporate players had loyally heeded the Kremlin’s directive, “Go east, young man!” The Kremlin’s pivot to Asia was intended not only to form a Russia-Chinese alliance of likeminded authoritarian states, but also to re-orient the Russian economy toward the East. This effort was intended to provide Vladimir Putin with financial means to sustain himself in office and his current foreign policy course. Securing “a stable Chinese” alternative to Western capital markets was the key element in this game plan. What Foreign Policy for the US? Washington has always done too much or too little; been too pushy or failed to consult. That goes with the territory of being the world’s major power. The following article by Jessica T. Mathews will appear in the September 24, 2015 issue of theNew York Review of Books, which goes on sale next week. “The incoherence in American foreign policy has been growing for twenty-five years,” asserts Ian Bremmer. That’s a considerable overstatement, and from an expert in the field, but there is no question that, at home and abroad, American policies (from long before the current administration) evoke widespread angst, uncertainty, and criticism. Judging from a flurry of recent books, the most basic features of the US role abroad remain in question. How much should we try to do in rapidly changing circumstances? What are we actually able to do? How much should we spend abroad? Can’t a single principle be found to impose greater consistency on foreign policy? WASHINGTON—A recent breach of the unclassified network for the Pentagon’s Joint Staff was persistent and evolved quickly from a failed attack just a week before, the head of the National Security Agency said Tuesday, offering a window into the barrage of cyberattacks that the U.S. military confronts daily. The Joint Staff includes some of the nation’s most senior military officials. The email server for 4,200 of the Joint Staff’s accounts was taken offline several weeks ago after officials discovered a hacker had penetrated part of the network. Officials described the breach as an elaborate phishing attack, which essentially lures an unsuspecting email recipient into opening a link or attachment that is laced with malware and allows an intruder to seep into a network. It is an old but effective maneuver. Officials are investigating whether Russian hackers were behind the breach, people familiar with the probe have told The Wall Street Journal. Adm. Michael Rogers, who heads the NSA and the U.S. Cyber Command, said at an event hosted by the Woodrow Wilson International Center for Scholars in Washington, D.C., that security officials were quickly able to contain the breach and “develop an immediate set of workarounds” to allow officials to send secure emails. Still, he said the sophisticated design of the attack surprised even him. Russian "hard power" is evident in regular Kremlin parades and the highly irregular war in the Donbass. Its "soft power" is distinctly limited: Surveys show that the country is generally neither liked nor trusted worldwide and certainly not seen as a model to follow except by a handful of would-be "strong men" admiring Putin's macho poise and tight grip on power. But there is another kind of power, covert and negative, but this "shadow power" is something Moscow still possesses. However, according to the BIS, these spies and networks are not so much gathering intelligence as using agents as active instruments of policy, from continuing to fight for a share of the Czech Republic's power industry through to spreading propaganda. The BIS warns that "Russia continued its attempts to exert influence over the Russian community in the Czech Republic, or more specifically [tried] to establish pro-Kremlin organizations and individuals." To this end, it claims "Russia is creating a structure in Europe drawing on the concept of the [Soviet] Comintern (the Communist International)." The Department of Defense is looking to develop a force of the future that will be able to defend and retaliate in cyberspace, as well as deliver the technology infrastructure to support troops in the field. In doing so, DoD will need to recruit and train a larger civilian workforce, according to a draft reform package currently under review by Defense Secretary Ash Carter. Along with more resources and better training for the troops, the "Force of the Future" plan includes creation of a Defense Digital Services (DDS) modeled after the U.S. Digital Service (USDS) teams working to improve citizen services at civilian agencies. If the plan is approved, DoD would seek to build two teams — one at the Pentagon in Washington, D.C., and another in Silicon Valley. Combined, the teams would start with 50 term appointees in the first six months, building up to 100 people within the first year. Similar to the USDS and other similar civilian programs, the DDS would consist of a rolling temporary workforce designed to bring fresh, innovative people in for brief terms of service. Team members would initially be appointed to two-year terms, with the option for a single two-year extension. Lately, Afghans are inclined to describe the American commander by yet another: minister of defense of the Islamic Republic of Afghanistan. It is a recognition not only that there is no confirmed nominee for the post, but also of what Afghan officials say is General Campbell’s strong influence within the highest levels of the Afghan government. No other American commander in recent years has had as much power within the Afghan military establishment and top government echelons, according to interviews with senior Afghan and Western officials, and it is a role that President Ashraf Ghani has welcomed and encouraged. But at a time when Afghan forces and officials are supposed to be running the war, and eight months after the official end of the NATO combat mission in Afghanistan, General Campbell’s prominent role is also being widely taken as a sign that the fight against the Taliban is not going well. 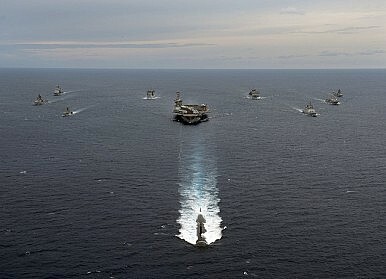 As India and Australia prepare to embark on theirfirst-ever bilateral naval interaction in the Bay of Bengal this month, reports suggest the exercises willfocus on anti-submarine warfare (ASW). This is being seen as evidence of a growing regional consensus on the threat posed by Chinese undersea operations in the Asian littorals. Australia is reported to be sending a Lockheed Martin’s P-3 anti-submarine reconnaissance aircraft, a Collins-class submarine, and ASW frigates, while India will be deploying a P-8 long-range anti-submarine aircraft, along with other surface assets. Over the past two years, China’s submarine deployments in the Indian Ocean have been a source of worry for Indian analysts. Since May this year, when a Chinese Yuan-class submarine visited Karachi, there has beengrowing unease in New Delhi over the possibility of greater Chinese submarine presence in India’s maritime neighborhood. Indian analysts say the sudden rise in submarine visits suggests a larger game-plan for the expansion of the PLA-N’s operational footprint in the Indian Ocean. In the garb of anti-piracy operations, Chinese submarines have been performing specific stand-alone missions – a process, China skeptics contend, meant to lay the groundwork for a rotating but permanent deployment in the Indian Ocean Region (IOR). Why is Indonesia Set to Cut its Military Budget for 2016? 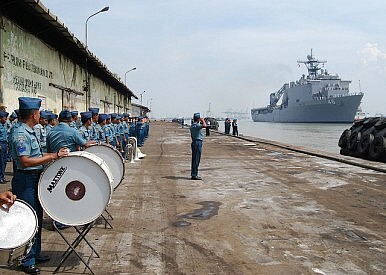 Indonesia is planning to cut its defense budget next year for the first time in five years, raising further doubts about the Asian power’s ability to transform its military. Despite being the world’s largest archipelagic state and its fourth most populous country, Indonesia has significantly underinvested in its military relative even to its smaller Southeast Asian neighbors. Even with sharp increases in recent years, Indonesian defense spending as a percentage of GDP was the lowest in ASEAN at 0.8 percent in 2014, well below the regional average of 2.2. percent. President Joko “Jokowi” Widodo had come into office pledging to increase that figure to 1.5 percent of GDP and even double the budget in 2016 as Indonesia seeks to develop a Minimum Essential Force by 2024. North and South Korea have agreed to back away from deadly confrontation for the moment. But both sides’ rhetoric bodes ill for the future. Seoul claims its firm brinkmanship forced Pyongyang to back down. And North Korean leader Kim Jong-un has told his Central Military Commissionthe agreement "was by no means something achieved on the negotiating table but thanks to the tremendous military muscle with the nuclear deterrent for self-defense." The rhetoric on both sides is likely a sop to hardliners at home. But if the leaders believe their own bluster and their militaries act on it, the two sides may go over the brink the next time tensions rise on the peninsula. Kim Jong-un’s motives are misconstrued by those in Seoul who believe him to be moved by economic desperation. Yet his economy has been growing over the past decade, and he needs calm on the peninsula to deliver on his pledge to improve his people’s standard of living by reducing military spending.